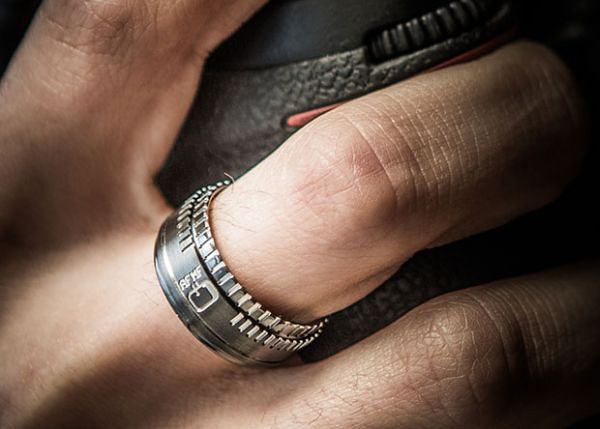 For all photography lovers and others who love cameras for more reasons than one, Titanium Buzz has designed a lens-inspired wedding ring. 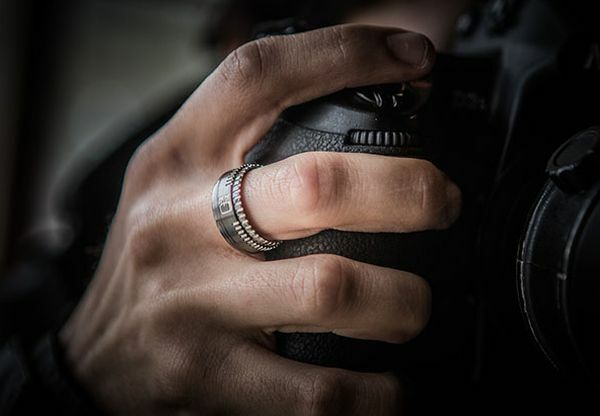 Dubbed the Camera Lens Ring, it’s similar to a camera lens dedicatedly made to lure photographers getting married or have deep passion for their work and would love to wear a love band that expresses their passion. 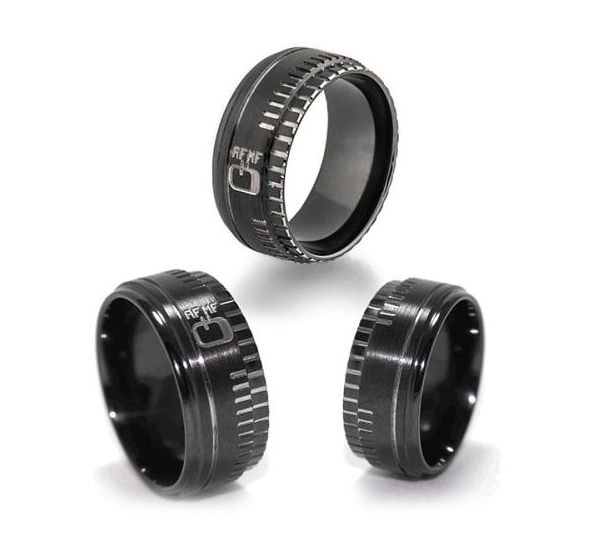 The ring is embedded with AF/MF autofocus toggle switch and in appearance is like the bottom side of the lens. 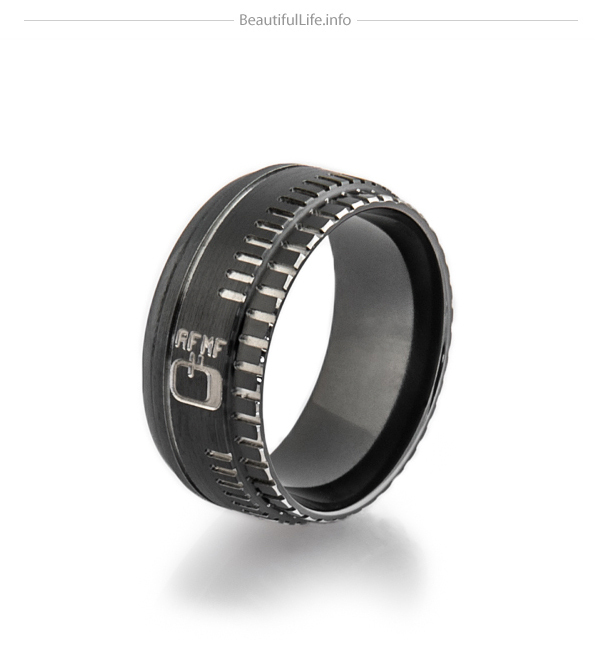 The rings are made from zirconium. 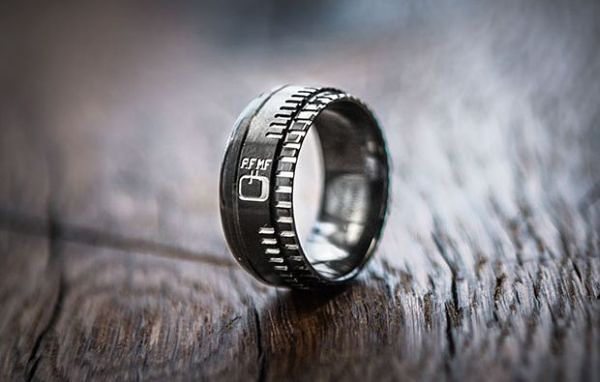 Measuring 10mm wide, the rings can be made for any size finger with personalized laser engraving of maximum 25 characters for a hefty price tag of $329.